Arab Supply and Trading Company (ASTRA) is a Saudi group of companies, with a history dating back to the late sixties when first founded by Mr. Sabih Taher Masri. ASTRA has grown to become a vastly diversified Group, with fields ranging from agriculture to trading, manufacturing, contracting & services, medical & healthcare, and real estate, with various subsidiaries and affiliates in other Middle East and Gulf countries. The Group is currently ranked 21 among the top 100 Saudi companies, and is the second largest privately owned Group in the Kingdom, with more than 5,000 employees. PADICO HOLDING is a limited public shareholding company, traded on the Palestine Exchange (PEX) with a paid-in capital of USD 250 million. Since its inception in 1993, its mission has been to develop and strengthen the Palestinian economy by investing in vital economic sectors. Its shareholders reached about 10,500 in 2011, attracting institutional investors and funds from the MENA region, in addition to other established international markets in Europe. Today, PADICO’s investment portfolio includes almost every sector, spanning telecommunications, tourism, real estate, energy and environment, manufacturing, finance and capital markets and agriculture. 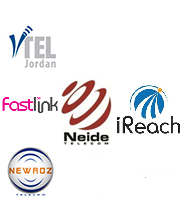 PALTEL is the national telecommunications provider in Palestine, where it leads a new era of communications through its state-of-the-art technology and advanced services, including local and international telephone services, internet, data communications, value-added services, payphones, and next generation services, in addition to creating the backbone for other related telecom service. The company commenced operations in January 1997, with the paid capital of JD 45 million; currently, its capital reaches JD 131,625 million. PALTEL is a public shareholding company listed on the Palestine Securities Exchange, with shareholders comprising institutional and individual investors with about 7668 shareholders as of the end of December 2010.